A very exciting day on the 11th episode of The Twenty Minute VC as we welcome our 1st London based guest on the show, Thomas Jones. Thomas is Founder and Partner at Charlotte Street Capital, who invest up to £200,000 in early stage UK technology companies. Their impressive portfolio includes the likes of Chilango, GoSquared and SeedCamp, just to name a few. Prior to Charlotte Street Capital, Thomas was Founder and Executive Director of SMARTS Group International, offering a real time market surveillance platform, now used in dozens of stock exchanges around the world. How Thomas made his entry into the world of Venture Capital? When investing in a startup, do you have a mental timeline of the startup’s journey in your head with a clear strategy of when a desired exit will occur? When it comes to investing, what really gets Thomas excited about the potential of a company? What Thomas believes the main differences to be between VCs in Europe compared to the USA? With the evolution of funding methods, how does Thomas see the ‘crowd’ becoming more involved in the future of early stage funding? What advice Thomas would give to a graduate looking to make their entry into the industry? We finish today’s episode with a quick fire round, where we hear Thomas’ immediate thoughts on the future of disruption. 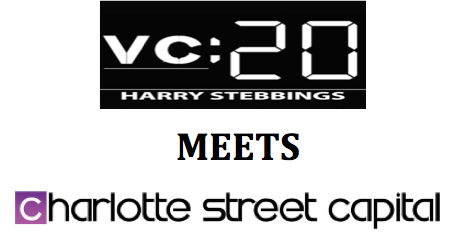 We would love to hear from you, so if you have a VC you would like to hear from, send us an email: harry@thetwentyminutevc.com and we will see what we can do!